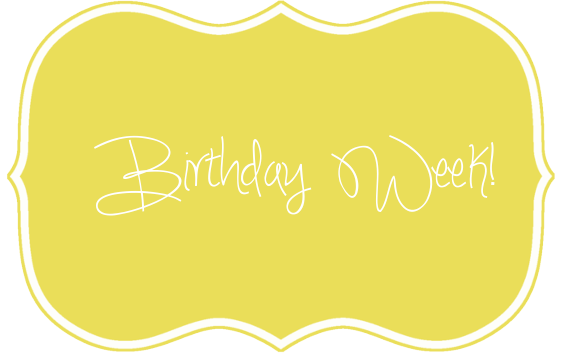 The last week of January is our little boy's birthday week! That's right, I said week! It's too special to celebrate for just a day! To get festivities started, I thought what better place to start than the very beginning? Here's a little recap of how our amazing little Y joined our family! I love birthdays. Who doesn't?! In fact, there is little else I love as much as celebrating M's birthday. The prep, finding the perfect gift and celebrating someone who works so hard everyday and has given me everything and more, is the best day of the year. Last January everything changed. I had basically spent my entire pregnancy freaking out that I would go into labor while M was at work and I'd be alone and stuck waiting for him to come home, and he'd be stuck in a giant Canadian spontaneous snowstorm and I'd end up delivering a baby in the living room alone. Because obviously that's how my mind works. What actually happened was so not that. Not even close. No panicked "I think I'm in labor" phone calls I had anticipated for nine months. No labor in the living room. Nope! M is an incredibly dedicated person. I am super lucky that any time I had an appointment he would take the hour or so off of work to be there. Whether it was an hour long ultrasound or a five minute "all's well, see you in 2 weeks!" check up, he sat there each and every time. Excited, asking questions and most importantly, by my side. So a year ago when we headed to the hospital for our weekly appointment, I was ready to hear the classic, "almost there!" and be on my way in five minutes. Instead the whole drive there I just couldn't focus. I had, had a quick breakfast and regretted it since I was sure that's why my stomach was acting up. When we got to the parking lot, M got out of the car and started toward the door only to turn around and realize I hadn't made it more than a couple of feet. I was so confused as to why a granola bar would be wreaking this much havoc. I was dealing with bruised ribs, the worst.heartburn.ever. and pregnancy insomnia, but a granola bar was bringing me down? No way. "Why don't you head down to triage. Sounds like you're in labor!" Umm no. For one, this was my second day of winter break (I was working in a school) and I had a ton of stuff planned I wanted to get through. Secondly, I was still three weeks away from my due date. I was there for an appointment, not for labor! But down to triage we went. After a quick check in with the doctor they confirmed I was in labor and instructed us to stay in the hospital, walk around, and return in 3 hours. At this point I was completely thrown off. My perfectly packed hospital bag and post it note of reminders was sitting at home. The car seat was in the trunk and clearly not installed. My Mom was still at work. Everything was wrong! Little did I know that this was the most fitting "welcome to parenthood!" ever. My Mom and Dad arrived at the hospital shortly, and M left to go and get everything that was sitting at home. I must have called him a million times, I was so scared he was going to miss everything because I had sent him for our bags! Fast forward 10 hours, my Dad had returned to drop off my Mom's overnight bag and dinner, and I was still pacing hallways with M. At this point triage let me know that if nothing progressed I'd be sent home. I Freaked Out. First you tell me I'm having a baby today, I finally get my stuff, husband and Mom all in the same place and am ready for this and now it's not happening?! Oh no. No. No. No. That's when M made me laugh hysterically. No matter what's going on he can always make me laugh (often this is not appreciated since I'm trying to be serious/upset etc). But that day it was so beyond welcome I can't even explain! And that moment, finally letting go and just laughing hysterically - labor officially got kicked into gear! Apparently Y decided he was ready to join the party! We were finally admitted into a beautiful room (yay to no more pacing in hallways!) and the most incredible nurse stayed by my side. I will be forever grateful to her for her patience, humor and sensitivity!! Unfortunately, at the end of her shift about 8 hours later, I was still in labor. I legit almost cried when she left, I so wanted her to be there for the big moment! 26 hours after entering the hospital for my doctor appointment, again as I was in a bout of laughter, our beautiful little Y made his grand entrance. Three weeks early, he couldn't wait to meet us and we couldn't wait to meet him! We hadn't found out the gender (even though towards the 8th month I was ready to go through every page in my file to "accidentally" see it), and hearing M tell me we have a son was one of the most incredible moments of my life. Being able to share it with my Mom was so important to me. There's just something about the added strength she brings to a room and how when she's there I just know everything's going to be okay! For her to be present to meet her first grandson in his first moments was a gift I'm so grateful for! And that's how this last week of January has become my new most favorite time of year! The week we became a family and this itsy bitsy balebusta, was given the bestest, sweetest, most delicious itsy bitsy gift ever! I hope you'll join us for the celebrations! We have more to share, from special gifts to our favorite items and what we've found the most useful this first year as parents and more!